PRAYAGRAJ, India (AP) — At the world’s largest pilgrimage in Prayagraj in northern India, tens of millions of Hindu faithful travel to the sacred sangam — the confluence of three holy rivers — to take a dip. 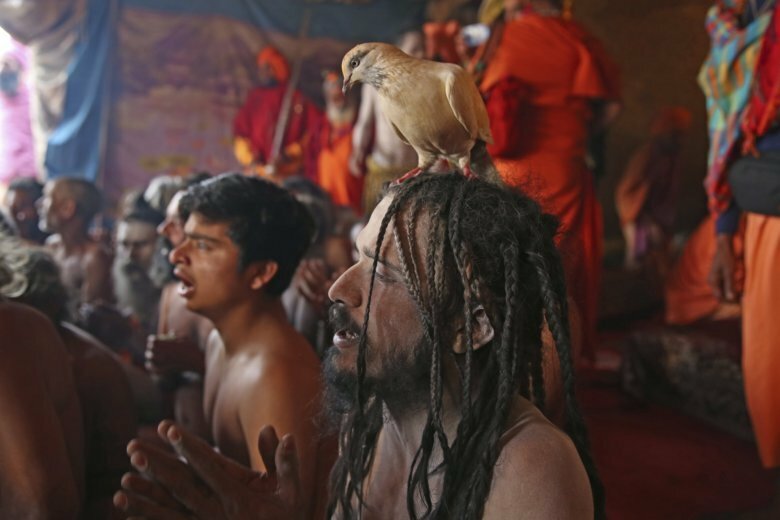 After a purifying bath in the river and a prayer ceremony, the sadhus have to perform “Pind Dan,” a Hindu funeral ritual to pay homage to their ancestors for the salvation of their souls. But the last “Pind Dan” ritual at the Naga initiation ceremony is for the sadhu himself, symbolizing the unity of his soul with God. “They will consider themselves dead, and only their soul will live on. They will pronounce themselves dead even while living,” said Santosh Mishra, a 50-year-old priest of the Juna Akhara monastic order.